My beauty addictions come from many things, friends, ads, families, and of course, youtubers. 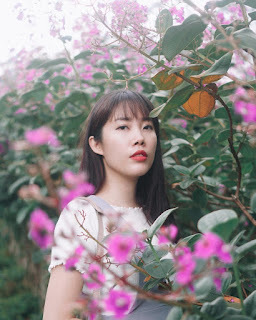 I love watching people talk about beauty products they love and they work on their skins, I'm sure you'll have to agree with me, because youtubers have made great impacts in beauty industry. I know so many makeup and skincare brands that are still not available in Indonesia from watching youtube. So when people just started buying Naked palette from Urban Decay, I already got mine from years and years ago when they were still so hard to get here, thanks to youtube! It's like almost every products that are mentioned by famous youtubers will go viral and everyone wants to try it out as well. Not only for makeup, but also skincare! God knows how many 'skincare routine' videos I've watched on youtube... LOTS! And this product that I'm going to review today, was mentioned in almost every 'skincare routine' videos that I've ever watched, no kidding. I was intrigued, of course, by that many people who use this product, but alas, it wasn't available in Indonesia at that time. So can you imagine how happy I was when I finally found it in drugstores? Yasssss. Finally I can try it out! It's the Cetaphil Gentle Skin Cleanser. Let's just say that everything is fit to what it's described. It's really gentle on the skin, great for sensitive skin, and even infants! That's how gentle this skin cleanser is. When I was at the drugstore, I noticed that they have huge 1 litre bottle, and later I knew that this cleanser can be used for both face and body, how convenient! 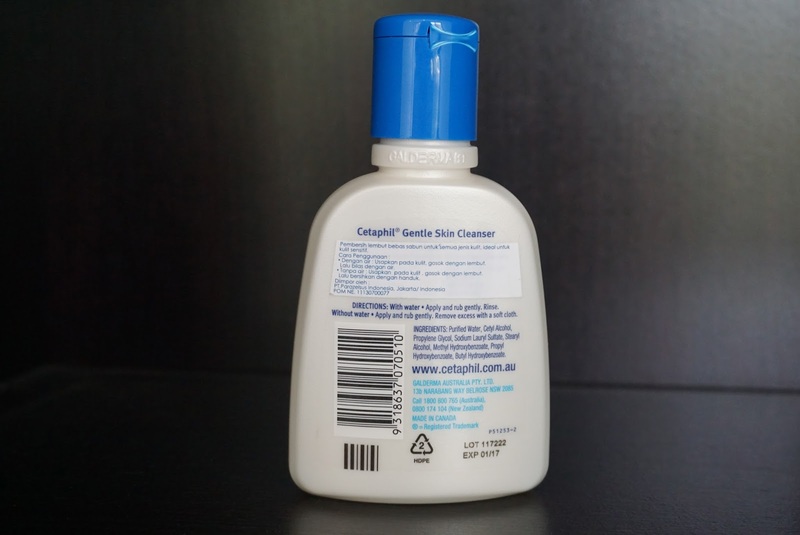 The cool thing about Cetaphil Gentle Skin Cleanser is you can use it in two different ways! ~ Pour the cleanser on your palm, apply it on face on circular motion, then rinse it off with water. It's best if you don't wet your face before applying the cleanser. ~ Use it as milk cleanser, apply it all over your face and wipe off with cotton or wet wash cloth, no rinsing needed. I normally use it as regular face cleanser in my daily basis. But it'd be great to bring this along with me when I travel later, since I only have to bring one cleanser for face and body, plus when I'm exhausted, I can just clean my face with it and wipe it off with cotton, very practical and efficient. It doesn't give an instant result, but I can see my skin has been getting better, it has been less irritated, the redness has reduced a lot. 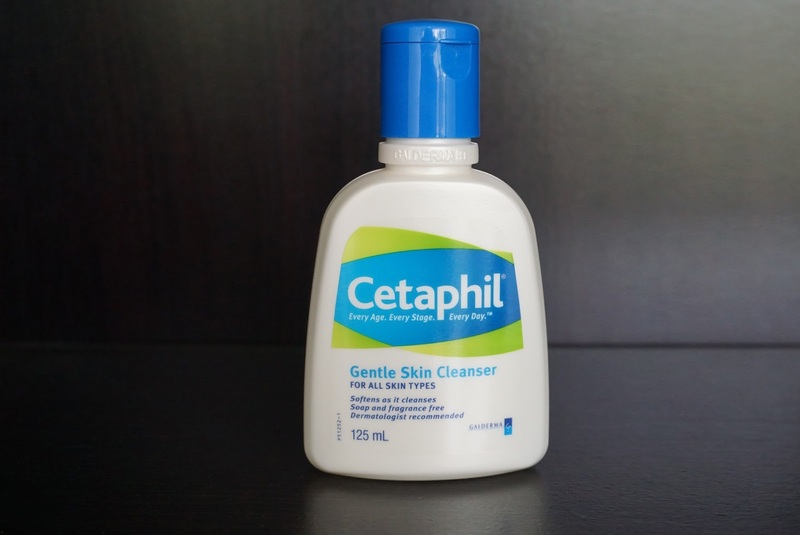 The only problem that I have with this cleanser is it doesn't have any oil control, so sometimes I switch it up with the Cetaphil Oily Skin Cleanser, that's most suitable to oily skin type. I'd recommend you to use the Oily Skin Cleanser if you have oily skin like I do, but if you have normal, dry, sensitive skin, you should try their Gentle Skin Cleanser! You can find them at Watson, Guardian, Century, Foodhall, Kemchicks Pacific Place, AEON and other drugstores. I love how both Gentle Skin Cleanser and Oily Skin Cleanser can remove all the dirts on my skin without making drying my skin, I never feel my skin being stretch out after washing my face, because I experienced it on some facial cleanser. It doesn't irritate my skin, and since it's really gentle, I don't discover any breakouts. It's soap-free and fragrance-free, it leaves my skin supple and moisturized.  I'm looking forward to encounter more good things from this product. Yes! 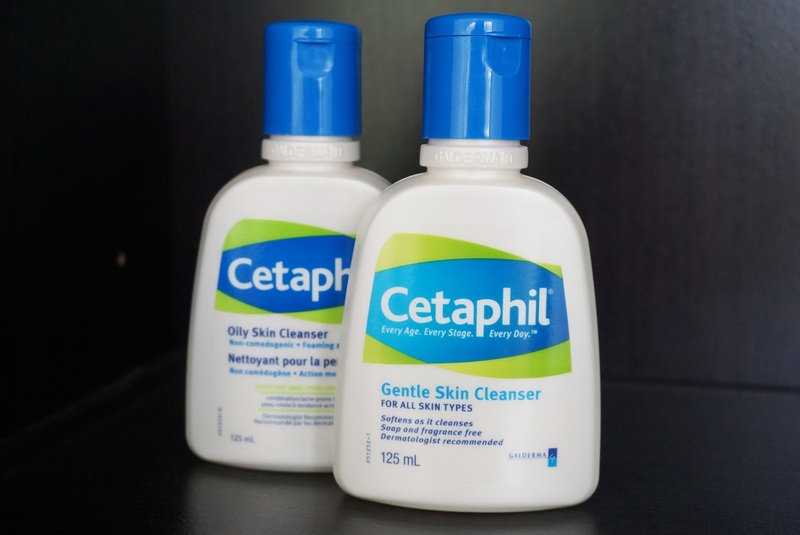 I was really thrilled when I saw bunch of cetaphil products hehee..
udah lama mau nyoba akhirnya ada juga di indonesia. btw fotonya di alam sutera ya kak? hai tny dong. yang gentle itu memang lbh "berbusa" kah drpd oily? ga trlalu berbusa sih, cm lebi ada busa nya gitu.. bener nga ya? Hai! thank u for sharing. Mau tanya. Aku kan pny 2 types just like yours. tapi agak bingung yg gentle emang agak sedikit lebih berbusa ya? takut palsu😂 thank you!